You likely hear a lot about the idea of “aging in place,” and of course it sounds appealing. But doesn’t it also make sense to be sure the home you choose is well suited to meet future needs? Consider transportation, access to social activities, changes in health, and eventually, long term care. 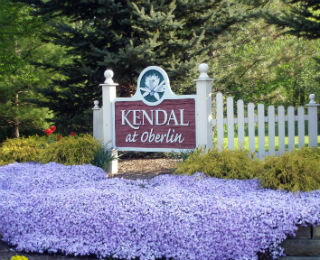 Full service retirement living communities, like Kendal at Oberlin, can offer the vibrant independent lifestyle you seek now, with plenty of social activity and new friendships to develop. Then they also offer the ideal conditions to accommodate future changes that may emerge as you get older. These communities are known as “continuing care communities,” and they were developed around the premise of “aging in place” successfully. Making a plan for the future brings peace of mind and freedom from worry, for you and your family. If you want to stay in your own home as you age, I urge you to consider coming to Kendal at Oberlin. Many people who have been living in the same house for much of their working career don’t realize the challenges they may face by trying to make that house their “home” in their later years. When Anne and I moved from University Park, Maryland, to Kendal at Oberlin eight years ago, we left a house that actually was very well-adapted for “senior living” – first-floor bedroom and bath; only one step up from where we parked our car to the house; easy travel to shopping, library, and senior citizen activities; two of our children and their families close by. But at age 75, we knew it was time to build a new social network in a place where, regardless of our health, we could remain for the rest of our lives. And our children would not be constrained by feeling they had to stay close by to care for us. Kendal became our HOME. At Kendal we have so many activities “in-house,” there’s not time enough for all of them. Kendal provides transportation to events at Oberlin’s superb College, Conservatory of Music, and Art Museum, but since they are only two blocks away, we usually bike instead. We are as involved in wider community functions as our time and energy allow. Most importantly, we have a social network that is constantly replenishing itself, so we are never without a circle of fascinating friends. 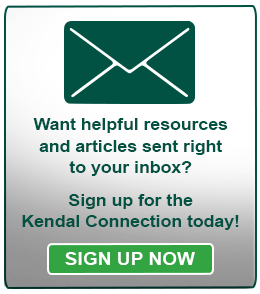 Some are residents who moved in when Kendal opened – 22 years ago! If one of us needs to be in our Stephens Care Center (assisted living and skilled nursing) the other can remain in our cottage – with no change in monthly fee! 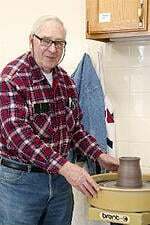 I served on the committee that helped our Center achieve “Person-Centered Care” certification, for which the primary criterion is “Not home-like, but HOME.” Kendal also has home health care available for cottage residents. So, whatever our level of functioning, Anne and I know that we will indeed be “staying in our own home” for all the years to come.